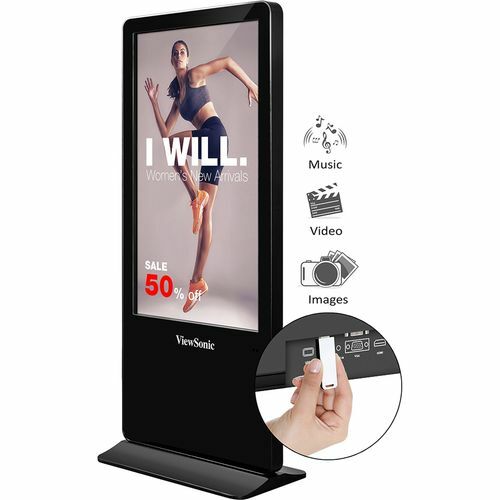 The ViewSonic EP5520T is a 10-point interactive 55"all-in-one free-standing digital ePoster kiosk with a sleek,slim design. Great for grabbing attention in busy,high-traffic areas,the EP5520T comes with a scratch-proof tempered glass faceplate for added durability. Featuring Full HD 1080 p resolution,176/176 wide-angle viewing,400-nit brightness,4,000:1 contrast ratio,and dual 10 W stereo speakers,the EP5520T delivers customized multimedia messaging with vivid clarity. Interactive on-demand messaging This display delivers on-demand interactive messaging with 10-point multi-touch capability. This display is the perfect e-catalog display solution for use as retail,information,and wayfinding kiosks in high-traffic areas. 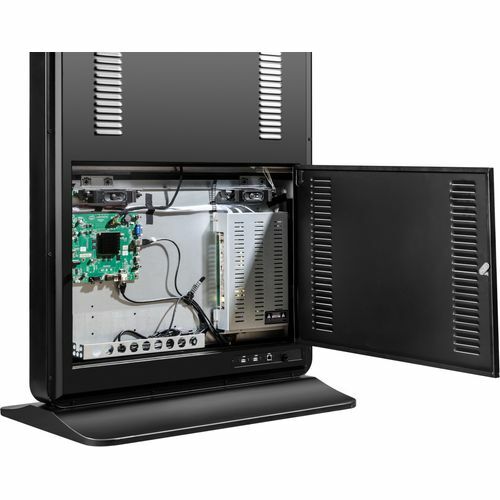 Easy multi-device management RS232 connectivity enables computers and laptops to be connected to this display,and also allows IT personnel to conveniently manage multiple displays,and configure devices.